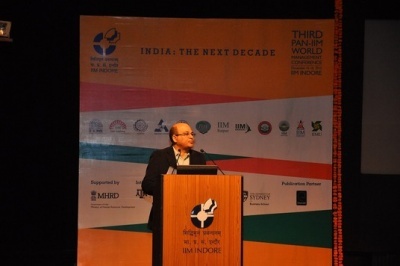 With an objective to provide platform to budding as well as best management brains across the world, the Third PAN IIM World Management Conference began at IIM Indore on December 16, 2015. The conference is being attended by about 400 delegates. 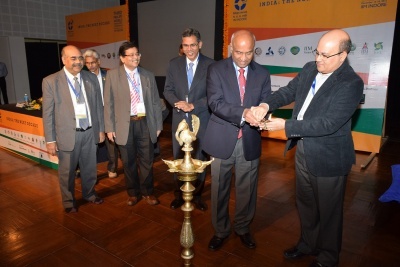 The formal inaugural of the three-day conference commenced with the lamp lightening ceremony by Professor Rishikesha T. Krishnan, Director, IIM Indore, along with all the Directors of various other IIMs present on the occasion. 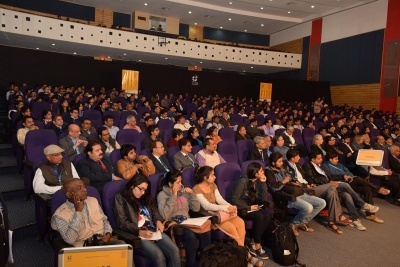 Professor Krishnan in his welcome address mentioned that in total, the conference had received 481 submissions out of which 176 paper presentations (166 Indian + 10 Foreign) and 38 posters were accepted to be a part of the conference. 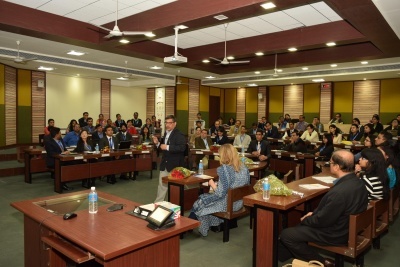 He also thanked the Ministry of Human Resource and Development for its constant support and encouragement which helped IIM Indore to host the event. Professor Rajan Varadarajan, Distinguished Professor of Marketing, Regents Professor and Ford Chair in Marketing and E-Commerce Department of Marketing, Mays Business School, Texas A&M University, was the guest for the ceremony, who gave the inaugural address on the topic ‘Innovating for Environmental Sustainability & De-Marketing for Environment Sustainability’. Professor Varadarajan mentioned in his speech about how the environment is changing with modernization. Discussing about the problems people are facing across the globe related to environmental sustainability he quoted, ‘If you are not thoroughly confused by now, you just don’t understand what the problem is’. Mentioning about carbon emission across various countries, Professor Varadarajan said that India stands at a lower position at per capita carbon emission; however, India and China are the countries which have the most carbon emission if compared on a factor of per GDP, because a large population of these countries depend on coal for electricity. 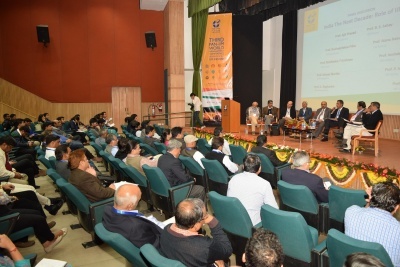 This was followed by a Q&A session with Professor Varadarajan, wherein various delegates from various parts of the country got a chance to interact with him. On this occasion, Ms. Smriti Zubin Irani, Hon. 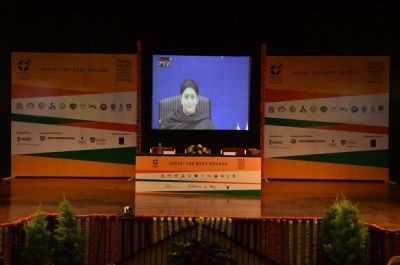 Minister, Ministry of Human Resource Development, Government of India addressed the gathering via video conferencing. She mentioned that PAN-IIM World Management Conference not only gives an opportunity to research scholars and delegates to bond together, but also provides a platform to strengthen their bonds for the future which would help the education sector dwell in a bright manner. ‘IIMs by utilizing their core competence, can broaden their horizon by looking at the government’s initiatives such Make in India, Swachch Bharat etc. along with their on-going contribution to the financial institutions’, she said. She noted that the Ministry welcomes all the delegates who have gathered together at the conference and their ideas which may be implemented in the education policy. She also thanked IIM Indore for hosting the conference. 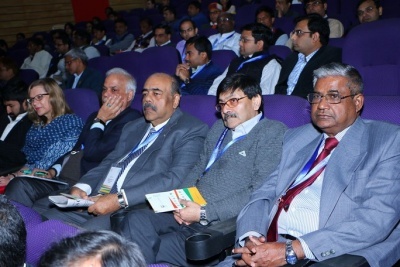 This was followed by various Technical Sessions consisting of paper presentations by various delegates from across the world. The areas included Competitiveness in Manufacturing and Services, Financial and Capital Markets, Corporate Social Responsibility, Strategic Management, Economics, Economics and Social Development at the Regional Level, Engaging with the Consumer in a Digital World and Organizational Behavior and Human Resource Management. The first day of the conference also had a Paper Development Workshop by AAOM (Asia Academy of Management) and APJM (Asia Pacific Journal of Management) wherein the participants were given the opportunity for a one-to-one session with the speaker in developing their papers further. 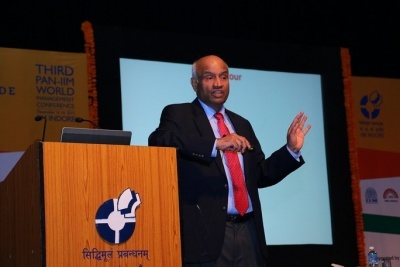 This was followed by an expert talk by Professor G. Raghuram on ‘Improving Logistics in India: The way forward’. 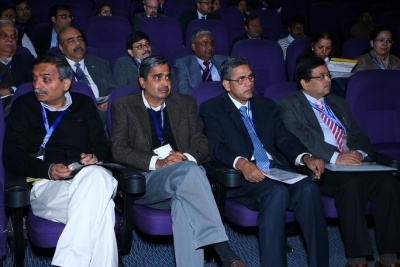 The highlight of the day was a panel discussion on India: The Next Decade, The Role of IIMs. 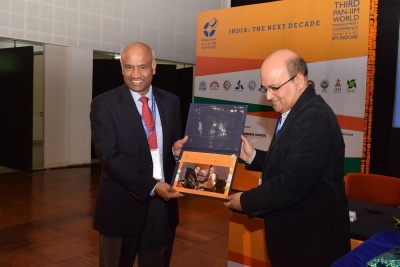 The panelists included Directors of IIM Indore, Lucknow, Raipur, Rohtak, Shillong, Tiruchirapalli and Udaipur. 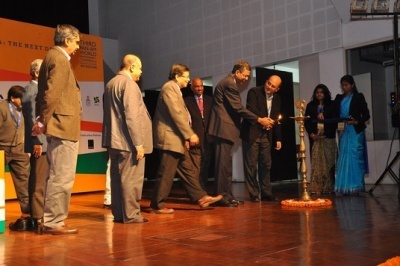 Other panelists were the Deans of IIM Ahmedabad, Bangalore and Kozhikode. Each panelist broadly focused on how their particular IIM is contributing directly as well indirectly in shaping up the next decade. 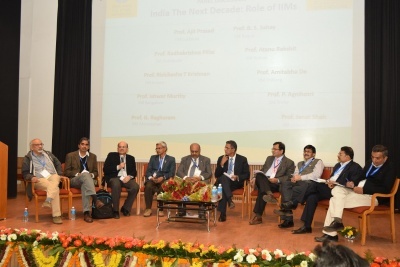 Whether it is by either teaching via MOOTs or broadening IIM curriculum by including courses on sustainability, government processes or by emphasizing on the relevance part of the research, the panel discussion provided with insightful culmination of the role of IIMs going forward. The day concluded with a Kathak Performance by Dr. Tina Tambe and her Group. The performance was appreciated by all the delegates as well as students present during the cultural prorgamme. A pre-conference doctoral workshop was orgnaised on December 15, 2015. These workshops were handled by Professor Sumit Kundu (College of Business, Florida International University), Professor Somnath Lahiri (College of Business, Illinois State University), Professor Srinath Jagannathan (IIM Indore) and Professor Manoj Motiani (IIM Indore). The workshops included varied topics such as ‘Doing High-Quality Research and Publishing in Premier Journals’ and ‘How to Keep Reviewers Happy’. The second half of the day included workshops that covered qualitative (content and metaphor analysis) as well as quantitative (structural equation modeling) methods.